Could the PS3 tide of doom be turning? Are the fortunes of the PS3 on the up in the US? The Sony PlayStation 3 (PS3) has struck back against the Xbox 360 , outselling the Microsoft console in the first week since its price cut. 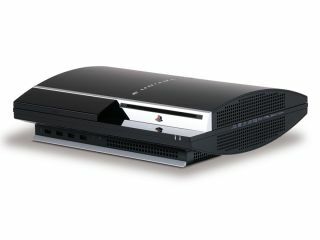 Sony cut the PS3 price by $100 (£50) and in the week that followed, 41,005 PS3s were sold, as opposed to just 35,084 Xbox 360s. Predictably the Nintendo Wii is still putting both to shame, clocking up 76,394 sales in the same time period. Will this renewed PS3 popularity last? It's impossible to tell at this early stage. But Sony has confirmed that it plans to phase out this discounted 60GB PS3 in favour of the more expensive 80GB version, so the status quo could return when that happens. Figures are courtesy of vgchartz.com .